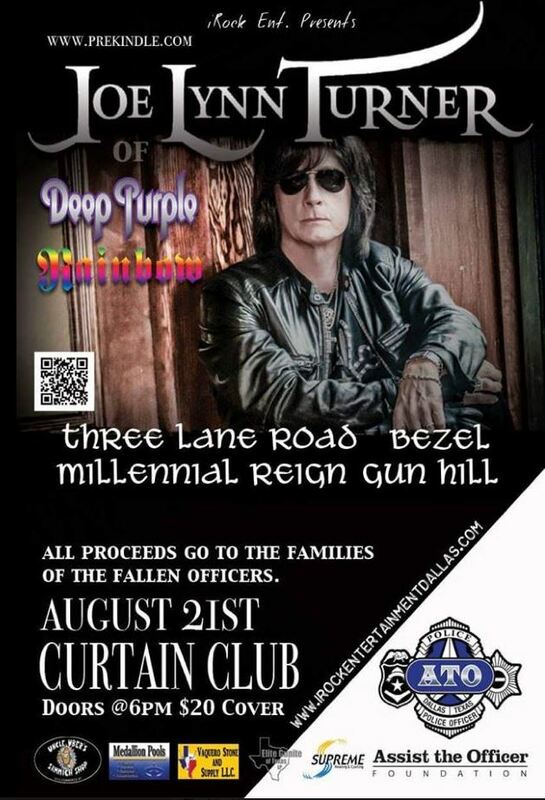 Video footage of former RAINBOW and DEEP PURPLE singer Joe Lynn Turner performing on August 21 at the Curtain Club in Dallas, Texas can be seen below. Backing Joe at the concert were Steve Brown (TRIXTER) on guitar, Sean McNabb (QUIET RIOT, DOKKEN) on bass, Matt Starr (ACE FREHLEY, MR. BIG) on drums, and Eric Ragno (THE BABYS, LONDON) on keyboards. 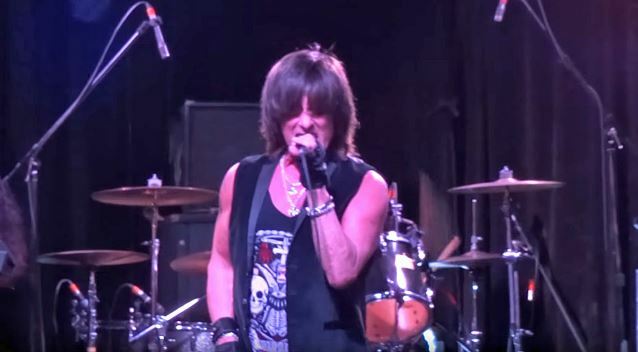 Joe Lynn Turner recently slammed Ritchie Blackmore for the guitarist's decision to go out and perform classic DEEP PURPLE and RAINBOW material with a new group musicians instead of reforming RAINBOW with a more "authentic" lineup. Regarding why he thinks Ritchie has chosen to go out with a whole new RAINBOW lineup instead of bringing back some of the musicians who played on the band's classic records, Joe said: "The first thing I think I can say is that he's been misguided by people around him. That's what I really believe. I believe he's been misguided, and I believe he trusts these people and I think that he made a mistake doing this." He continued: "I wanted an authentic reunion. I wanted guys from Doogie [White] and Graham [Bonnet] and [bassist] Bob Daisley and [drummer Bobby] Rondinelli, and all these guys, and I wanted to have a RAINBOW extravaganza, because there are a lot of fans that love RAINBOW that still haven't even seen RAINBOW, and this would be the ticket for them — you know, maybe a two-hour extravaganza. So I guess the people, his advisers or whoever, could not sell him that particular [idea], or maybe they never even told him that. I actually have a feeling that he was not full of the information at the time, because certain things have come to pass that sort of indicated that he didn't know about it, to me." Joe was the singer of RAINBOW between 1980 and 1984 and he sang on the album "Difficult To Cure", which featured the band's most successful U.K. single, "I Surrender". During Turner's time with RAINBOW, the band had its first USA chart success and recorded songs that helped define the melodic rock genre. Blackmore was joined at the recent RAINBOW gigs by LORDS OF BLACK singer Ronnie Romero, STRATOVARIUS keyboardist Jens Johansson, BLACKMORE'S NIGHT drummer David Keith and bassist Bob Nouveau (a.k.a. Robert "Bob" Curiano, ex-BLACKMORE'S NIGHT).